Imagine my surprise: Author Laura Carroll sent me an email requesting that I answer a few questions writing childfree fiction. To be sure, I was surprised and honored. Of course! 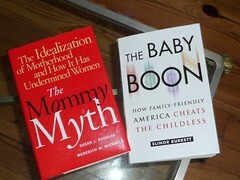 Her book Families of Two set Laura on the path to being one of the leading experts and voices on the childfree choice. A prolific author, she also wrote The Baby Matrix: Why Freeing Our Minds From Outmoded Thinking About Parenthood & Reproduction Will Create a Better World. I wrote my book Human Slices when I was much younger and exploring my choice to be childfree — Was it really a choice, a pre-determined state of being, or something that just happened to me? I still don’t know the definitive answer to that. I do know, however, that it was the right choice for me. When I first wrote my book, the idea of being “childfree by choice” wasn’t talked about much, if at all. It was almost taboo. It’s exciting to hear the discussions and ideas on that topic sparkle around the world through technology. Good for us and good for all. Click here to access the interview on Laura’s site. Thanks, Laura! When I was working on the closing scenes of my novel Human Slices, I imagined my female protagonist heartbroken and numb at Halloween. 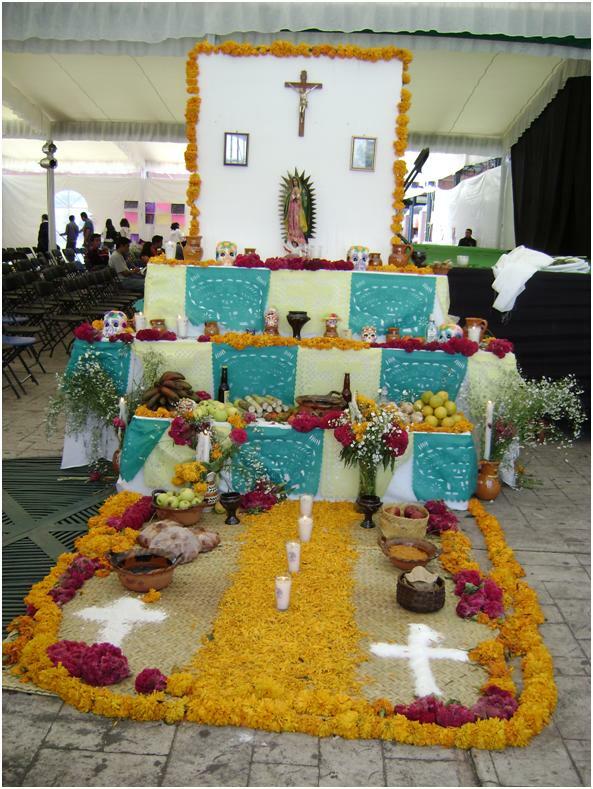 Then she went off and created a Day of the Dead altar. Whenever this day comes around, I think of this scene with Salm — which is her odd little nickname for her longer nickname, Little Salmon. Here’s an excerpt from the last chapter of Human Slices. As the wet autumn leaves squeaked underfoot, Salm lugged four small pumpkins up the stairs to her apartment. She spread several Sunday papers onto the kitchen floor and sat down, putting the pumpkins between her legs. She cut deep wounds around their stems, and after pulling off the tops, she settled in for the best part of the job—digging her hands into the cold slime and separating the stringy innards from the seeds. She spent the early evening washing the pumpkin seeds, salting them, and baking them in her oven. She was going to take the seeds to Sylvia and Reed’s tomorrow. They had just moved in together, and they were having a Day of the Dead celebration in conjunction with their housewarming party. Reed had told her he had a mild addiction to pumpkin seeds. While the seeds cooked, Salm sliced unhappy geometric expressions into the pumpkins’ faces. Sylvia had introduced Salm to the Day of the Dead rituals—Dia de los Muertos—years ago. It was the day the dead came back to visit the earth. Creating an altar with candles was essential. The altar honored their memory, and the candles guided their way. After the pumpkins were carved, Salm lined them on top of her kitchen table. She went into her pantry and dug out the voodoo candles she bought at Maxwell Street last year—thick, round candles encased in sparkling glass. Her cats followed Salm from room to room as she roamed her apartment, picking up assorted mementos—photographs, bits of memorabilia, postcards, souvenirs, a book of poetry, letters, holy cards. On her bureau, she found Luke’s dog magnets. She arranged and rearranged everything until the memories were in their right places. Then she sprinkled the entire creation with glitter. Satisfied with the altar’s look, she rummaged through the cabinet under her sink to find an old bottle of mescal and poured herself a double shot. She lit the candles and turned off the overhead light. She sat at the kitchen table and watched the candles flicker. “To the dead,” she began, lifting the shot glass to her eyes and squinting through it. She threw the fiery liquid down her throat. Salm toasted to the pumpkins. “To Dad.” She sighed. 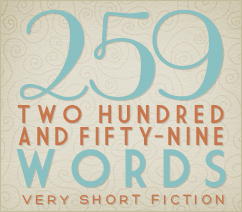 “Aunt Elaine, Grandma and Grandpa Collins, Big Fred, Grandma Penszak.” She sat in silence. As always, Luke was on her mind. “To Luke’s parents, his Uncle Jerry, Greg, Anne Marie and all the rest.” She felt a certain numbness from the mescal overtaking her fingers and toes. “To all of the lovers and friends who are dead…really dead…and the ones who are dead to me from absence.” She felt tears burn in her eyes. “And, of course, to Luke.” She spoke quietly and solemnly. The candle flames quivered and swayed, catching and reflecting the light of the raindrops on the window. Salm sat still for a long, long time. She thought she heard a knock at the back door, but it must have been a branch, or a tipped garbage can being blown down the alley. “It’s open,” she thought to herself. She remembered saying that to Luke so many times. There was another knock. She looked up to the back door and thought she saw Luke’s image through the screen. She wondered if the mescal could cause such a hallucination. Human Slices is available for Kindle and in print on Amazon. Ivan drives the #36 bus route, a long, lurching stop/go, stop/go ride between downtown and north side neighborhoods. Up and down State Street. Back and forth on Broadway. Ivan is close to retirement and a good pension. He has seven grandchildren who call him Poppa. Most of the time, he doesn’t pay attention to the rush-hour crowds. They heap in, mournful and glum. “Move to the back, please,” he says into the loudspeaker. Rarely does anyone listen. He has stopped trying to understand people who choose to bunch up in the front. Ivan makes sure the passengers pay their fares. Sometimes, he’ll deny someone with an expired transfer. Not always, but sometimes. He’s been a dutiful driver, acknowledged at Transit Authority lunches for his complaint-free record. He’s received special awards too, one for delivering a baby and another for nabbing a pickpocket. He takes only a few sick days every year. Sometimes, after he’s loaded passengers, he’ll see out of the corner of his eye a commuter running down the street, frantically waving to get his attention so he’ll wait and pick him up. Other times, he’ll pretend not to see, adjust his seat perhaps or check his schedule. Then ever so slowly, he’ll apply his foot to the gas pedal and cruise through the intersection, leaving the would-be passenger behind. Ivan will look into his rearview mirror and watch how the mad dash turns into slow motion and resignation. He lip reads the spewed curses and knows he would never use language like that. For any writer, a positive connection with a reader is priceless. When a reader feels compelled to seek me out, I am flattered, overwhelmed, happy, encouraged…and I whistle for days. I was over-the-top delighted. When she comes to Chicago, I will be happy to show her around. By museum scenes, she was referring to the novel’s opening action that takes place at Chicago’s Museum of Science & Industry. One spot is particularly pivotal. The human slices exhibit, comprised of actual cross sections of human bodies, is the first meeting place of the two main characters. At the human slices exhibit, each rectangular display case jutted out from the wall so that people could observe the slices from both sides. Salm stooped down to examine a shrunken, yellowed stomach from one side of the display case. Playfully, she closed one eye and peered through an open gap between the stomach and the intestines. Through this tiny opening, she could look out to the hallway. She looked left and then right, and then she saw a man appear from around the corner. The title of the book, of course, is a tribute to that weird and fascinating installation. I understood, of course, yet I never was able to change the name of the book. I was following the gut feeling emanating from inside my own “human slices,” the same way the female protagonist in the book listens to her heart to find her own truth and happiness. In spite of the peculiar title, readers still reach for the book and periodically send me some first-rate feedback. It’s so much fun to know that someone has enjoyed it and given my characters a chance to come to life again for a brief moment in time. Next, she shot me a Pinterest photo (below) that reminded her of a scene where the lovers go stargazing in the back of the pickup. The photo she sent was absolutely perfect. @taramade was reading my mind! If a reader can “see what I mean,” I’ve done my job and that’s amazingly gratifying. With those most excellent Tweets, my own “human slices” sparked and sizzled inside of me. Whether by conscious choice, a matter of fate, or a combination of factors, many women, like myself, don’t want to have children. We call ourselves Childless or Childfree because those are the words that exist to describe the state of being a non-parent. Even though I use and value those two words, I have never been particularly enthusiastic about them. They seem inadequate given the complicated, magnificent mosaic of women without children in the world. The eternal core problem with Childless is that sounds melancholic, full of loss, leading to a conjured image of a barren old biddy, shriveled up and stern, lips pursed, her black dress buttoned up around her throat. Funny how the right words can remain out of reach. Now that I am over the hill, as they say, I rarely call upon either Childfree or Childless to define myself. No one asks me anymore if I have kids or if I want to have kids. But I do get that sad look sometimes when I am asked if I have grandchildren (gasp! ), and I report that I never had any kids in the first place. There’s this “I’m so sorry” mournful expression that passes over the inquirer’s face. Sometimes it annoys me; mostly it bores me. I have never regretted my decision, nor cried over my fate. I have a recollection of realizing that I didn’t want kids when I was around 10 years old. This happened while I was holding a precious and beautiful newborn. I don’t remember who the baby was — a neighbor? a relative? What I do remember is my mother handing me this little bundle of cuteness, and I was excited to get a turn to have him in my arms. I recall really liking the new baby smell, touching the almost surreal, soft skin, being in awe of the tiny clenching fingers and toes. But I also clearly remember looking up at my mother and asking, “Do I have to have one of these one day?” My mom laughed, probably quite taken aback. I can’t quote specifically what she said, but it must have been something along the lines of, “Well, I guess you don’t have to if you don’t want to,” because I was very relieved by her words. We give some kids credit when they know at an early age what they want to be and who they are — young and gifted artists, math whizzes, aspiring Olympic athletes, musical prodigies. On the other hand, we don’t always give kids credit about intrinsically knowing other things about themselves. Our brains can be good at telling us things about ourselves. We just have to listen. I long ago accepted, I believe, without angst or hand wringing or conducting a cost/benefit analysis, that I wasn’t born with the urge to have children. It’s part of my nature. Nonetheless, I took time at one point in my life to consider if there were any external factors that could have had an impact on my not wanting to be a mother. I came up with three possibilities. One influence could have been that I went to the New York World’s Fair in 1964 and 1965, when I was in the 10-year-old age range. The overall theme of the fair was the super modern future — flying cars, Jetson houses, space travel, underwater pod living. Oh yes, and lots of warnings about this snazzy and jazzy World of Wonder being jeopardized by over-population, a planet swarming with crowds of people begging for food and water. After the visits to the fair, I don’t remember worrying about the perils of too many people inhabiting Earth. But I did fantasize (and still do) about that flying car. The second possible external factor is one that a friend hypothesized: Maybe I was turned off to parenthood by mother’s incredible affection and affinity for children. My mother adored kids, and we all adored her back, magically gravitating toward her warm smile and playfulness. She was a sort of “baby whisperer,” the type of woman who could calm even the fussiest child with her ability to distract and charm. My friend asked if it was possible that I subconsciously decided not to procreate because I felt I would never be as good with kids as she was. I doubted this. I totally admired my mother’s talent with little ones. I loved that I got to share in her joy when she was holding or playing with a child. I learned from her, and I was proud of her, delighted by the way she could delight. I think that with a little practice, I could have been as good as she was. And then there is a third potential influencing factor: I had two childless aunts who were certainly role models. One was a maiden aunt (I can’t use the word spinster) who was a petite, fastidious fussbudget. She wore crisp shirtwaist dresses and covered her hair with turbans and hats. She was, in a word, persnickety, but she also could laugh really hard, and she would do cool things like take me to New York and buy me leather mini skirts and wild mod tights from Gimbels. She loved kids, by the way. The other aunt without children (who wasn’t really an aunt but a cousin) was on the opposite side of the spectrum. She was a glamorous dark-haired beauty in diamonds and white mink, driving her pink Cadillac around town. She ran a few taverns (and married a few men), and she chain-smoked, alternating between Marlboros and Kools. I loved both of these women immensely. Oddly enough, in spite of their completely counter personalities and lives, they were very close and could be a fun, hilarious pair, if you didn’t pay attention to their incessant bickering and slinging stinging insults at each other. I would venture to say they found a connection in being “the sisterhood of the childless” in our extended family. The childless/childfree segment of the population is indeed a vast sisterhood, but with a bit of an underground or subculture identity. Researchers and anthropologists have explored the childless sphere with non-fiction such as Without Child: Challenging the Stigma of Childlessness and Complete Without Kids. There are numerous organizations, groups, and hashtags out there for us all to connect, converse, and commiserate: The Childfree Choice, The Childfree Life, Why No Kids? The list is long, and they are excellent platforms. Kudos to the folks who make those things happen. Way back when I was young, I wish I would have known that there were so many other women like me out there. It would be cool to have a Childfree Women Month to celebrate the extensive list of childless heroines, women such as Katharine Hepburn, Frida Kahlo, Mary Cassatt, Coco Chanel, Julia Child, Rosa Parks, Edith Wharton, Gloria Steinem. What impacts they made on the world. When I was in my thirties, I wrote a short novel, Human Slices, which features a female protagonist who is happily childfree. I wanted to create a character who was well adjusted, who knew she didn’t want children, who had never wanted a child, and who was quite content with that lot in life. I had never before come across that kind of female lead in a romance. Childless women are usually portrayed in fiction (and in film for that matter) as miserable, barren, bitchy, unfulfilled, bitter, sexually frustrated, or somehow characterized as a deviant “other.” And if these childfree characters are in their childbearing years, it’s implied, at least if it’s a “happily ever after” story, that their destiny is marriage and children. The reality, of course, is that happiness doesn’t always derive from procreation. I wanted to tell one of those stories. Scads of agents and publishers, as well as my friends, mentors, and teachers, told me there was no market for a book of that ilk, even though the U.S. census data show that the percentage of women under 40 who are childless is steadily inching up toward 20 percent. Although some may perceive this group as a weak or unworthy market force, the childless/childfree are powerful, raising their voices to create a lot of buzz — yet so do their detractors. Every once in awhile, a kerfuffle ensues when a writer or reporter, usually a women who is a parent or striving to be a parent, feels compelled to fret publicly about their childfree counterparts. These commentaries are infuriating and inappropriate…and outside of their realm. Leave your judgments to yourself, please. Then there are those times when someone, usually a man, pens a column or a book or a blog post about the perils of falling birthrates. Tirades rage on about the need to return to the traditional family, create more subsidies and incentives for childbearing, market motherhood in a better light, and devise pro-natal policies and protocols. Much of this discourse can make me shudder, leading me to recall the disturbing book, The Handmaid’s Tale, by Margaret Atwood. It’s a terrifying story of a society wrestling with its declining birthrates. The solution that the powers that be come up with is to designate specific women as concubines for reproductive purposes. It is a chilling, cautionary narrative. Elizabeth Gilbert, author of Eat, Pray, Love recently responded on her Facebook page to a fan who asked if she had any regret about not having children. Gilbert said she did not. Her categories got me thinking about the way we define and don’t define the childless/childfree. To be sure, the Childless by a Dirty Trick of the Universe are the most heartbreaking lot, the women who are born to be mothers but who can’t get pregnant, suffer miscarriage, are unable to adopt, face illness, or confront another overwhelming obstacle. I can’t even imagine the pain and longing that these women have. It doesn’t seem fair to label them with the gloomy Childless word. While some women may struggle with their fertility status, there are others who would strongly embrace such a reality. They are the Childfree by No Friggin’ Way! who can’t, under any circumstances whatsoever, abide by kids. They sneer, sometimes seriously and sometimes with great hilarity, at children (and their parents). They can can be the funniest of the bunch. The Childless by Indecision may never be quite driven, not quite ready, for whatever reason, to have children. And then one day, bam! They realize that time is gone, and they have to learn to live with their dilly-dallying. They seem to be neither childless nor childfree, just not sure. The Childfree by Decision worry about the cost, the impact on their carbon footprint, their fear of not being good parents, or some other tribulation. They seem serious. The luckiest of the pack appears to be the Childfree by Plain Old Natural Tendency. They are cool, calm, collected. The combinations and subsets of these categories may be limitless. Life can be complicated, that’s for sure. I can see myself identifying with all of them. Am I Childless by a Dirty Trick of the Universe? It’s very possible that my reproductive organs are challenged, and I could never get pregnant even if I wanted to. I have been so annoyed by kids at particular points in my life that I could fit into the Childfree by No Friggin’ Way! group. And yes, I have wrestled with being Childless by Indecision (“Maybe I’ll rethink it one day…”) and Childfree by Decision as well: I can barely take care of myself, how could I ever take on the responsibility of raising a child? How many categories of Childfree-ness could you fit into? I would also file myself under Gilbert’s “auntie” category. I think kids are great. Sometimes I’ll be walking by a playground filled with yelling and running grades schoolers having the time of their lives, and I’ll have to stop and savor their infectious laughter and abandon (while I also worry about the kid all alone leaning against the fence). It’s fascinating to watch kids play, discover, see them concentrating over a book or a drawing. When I look at my nephews and nieces, I sometimes feel so much love that it hurts. But it’s a joyful hurt, as if my heart is full to overflowing. It’s not a hurt arising from a lack, longing, or sorrow because I have no children of my own. Some day, I hope that we have more and better words than just Childless and Childfree to identify ourselves. Maybe we can get that done long before the meteorologists agree on a word for snow mixed with rain. In the meantime, whether Childless or Childfree, we have an extraordinary opportunity to be true to our own destinies, our callings, our natures. 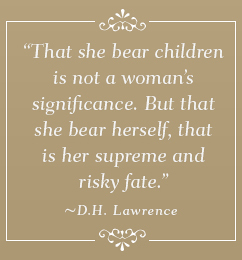 Thank you, D. H. Lawrence, for saying it.